Verna Eugene, Paul Andrew Bourne. Introduction: Hypertension is a common and serious health problem in many developed and developing countries; yet self-management practices of hypertensive have never been empirical examined in the Caribbean. Objectives: This research seeks to: 1) examine the knowledge level on hypertensive among hypertensive patients at a hypertensive clinic in urban St. Andrew; 2) evaluate the knowledge level on hypertension among the sampled respondents differ based on particular socio-demographic characteristics; 3) determine the factors that influence knowledge level on hypertension among hypertensive patients at an urban clinic in St. Andrew, Jamaica; 4) examine the self-care management practices level among hypertensive patients at a hypertensive clinic in urban St. Andrew, Jamaica; 5) evaluate self-care management practices among the sampled respondents differ based on particular socio-demographic characteristics, and 6) determine the knowledge on hypertension influence self-care management practices level among hypertensive patients at a hypertensive clinic in urban St. Andrew, Jamaica. Methods: Convenience sampling was used to collected data from 50 hypertensive patients in clinic in an Urban Jamaican Hospital. The data were entered, retrieved and analysed using SPSS for Windows version 19.0. Findings: The average knowledge of hypertension index was 34.7 ± 2.11 compared to 23.4 ± 3.2 for self-care management. The number of medications taken and the length of time being diagnosed with the health condition influence the knowledge level the individual has on the disease, with those factors accounting for 44.1 percentages of the variance in knowledge level on hypertension. Conclusion: The findings provide key ingredients to effect policies changes and social interventions. 1. World Health Organization. Preventing Chronic Diseases a vital investment. Geneva: WHO; 2005. 2. Boume PA, McGrowder DA. Health status of patients with self-reported chronic diseases in Jamaica. Journal of Medical Science, 2009; 1:356-364. 3. Statistical Institute of Jamaica (STATIN). Demographic statistics, 2009. Kingston: STATIN; 2010. 4. Bourne PA, McDaniel S, Williams MS, Francis C, Kerr-Campbell MD, Beckford OW. The changing faces of diabetes, hypertension and arthritis in a Caribbean population. North Am J Med Sci 2010; 2: 221-229. 5. Wilks R, Younger N, Tulloch-Reid M, McFarlane S, Francis D. Jamaica health and lifestyle survey 2007/08. Kingston: Epidemiology research unit, Tropical Medicine Research Institute, University of the West Indies, Mona; 2008. 6. Callender J. Lifestyle management in the hypertensive diabetic. Cajanus, 2000; 33:67-70. 7. McCarthy FM. Diagnosing and treating psychological problems in patients with diabetes and hypertension. Cajanus 2000; 33:77-83. 8. Morrison E. Diabetes and hypertension: Twin trouble. Cajanus, 2000; 33:61-63. 9. Eldemire-Shearer D. A situational analysis of the Jamaican elderly, 1992. Kingston: Planning Institute of Jamaica; 1995. 10. Ragoobersingh D, Mc.Grower D, Morrison YE, Johnson P, Lewis-Fuller E, Fray J. The Jamaican Hypertensive Prevalence Study. Med. Sci 2002; 40: 577 â€“ 587. 14. Bourne PA. Health status and Medical Care-Seeking Behaviour of the poorest 20% in Jamaica. International Journal of Collaborative Research on Internal Medicine & Public Health, 2009; 1:167-185. 16. Bourne PA. Self-reported health and medical care-seeking behaviour of uninsured Jamaicans. North Am J Med Sci, 2010; 2: 71-80. 21. 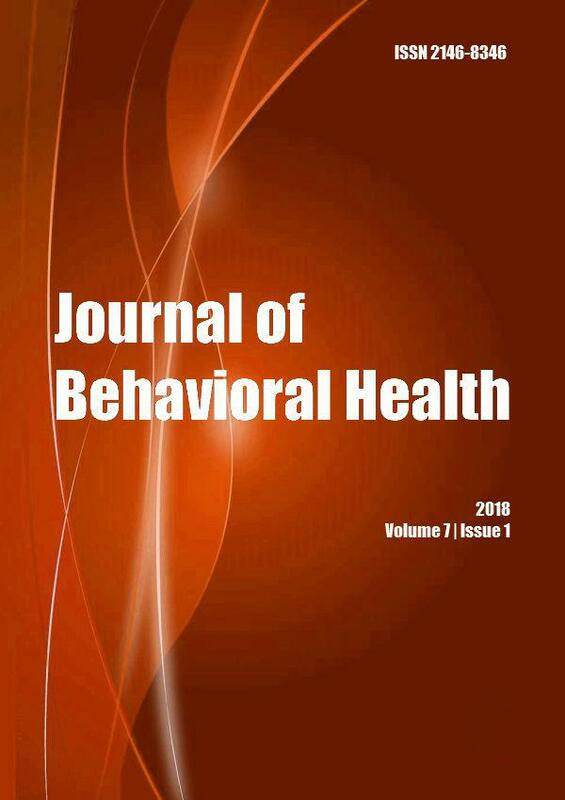 Bourne PA, McGrowder DA, Holder-Nevins D. Public Health Behaviour-Change Intervention Model for Jamaicans: Charting the Way Forward in Public Health. Asian Journal of Medical Sciences, 2010; 2(2):56-61. 26. Rout KS, Duta S, Sengupta M, Das S, Rout B. Antihypertensive therapy: The concepts of management with herbal and synthetic agents for pulmonary hypertension. International Journal of Pharmaceutical Sciences Review and Research, 2010; 3:013. 28. World Health Organization. Preamble to the Constitution of the World Health Organization as adopted by the International Health Conference, New York, June 19-22, 1946; signed on July 22, 1946 by the representatives of 61 States (Official Records of the World Health Organization, no. 2, p. 100) and entered into force on April 7, 1948. "Constitution of the World Health Organization, 1948." In Basic Documents, 15th ed. Geneva; 1948. 34. Iyalomhe GBS, Iyalomhe SI. Hypertension-related knowledge, attitudes and life-style practices among hypertensive patients in a sub-urban Nigerian community. Journal of Public Health and Epidemiology, 2010; 2: 71-77. 39. Drummond N, Steven K, Morrison J. Lay versus professional motivation for asthma treatment: a cross sectional, qualitative study in a single Glasgow general practice. Family Practice, 2000; 19: 172-177. 42. Demiralay R. The Effects of Asthma Education On Knowledge, Behavior and Morbidity in Asthmatic Patients. Turk J Med Sci. 2004; 34: 319 â€“ 326. 47. Baune BT, Aljeesh YI, Adrian I. Predictors of quality of life among hypertensive patients with and without stroke. Journal of The Islamic University of Gaza 2005; 13:91-107. 50. Chevannes B. Learning to be a man: Culture, socialization and gender identity in five Caribbean communities. Kingston, Jamaica: University of the West Indies Press; 2001. J Exerc Rehabil 2017; 13(5): 588. Nursing & Health Sciences 2016; 18(4): 519.
International Journal of Nursing Sciences 2016; 3(1): 11.